Boarding starts at 15:30 from Bodrum Harbour. After port formalities you will be informed about the cruise itinerary and the gulet. Then we will cruise to Kos Island. Kos Island is really well worth visiting. Kos is the island that gave the world Hippocrates, the father of medicine. 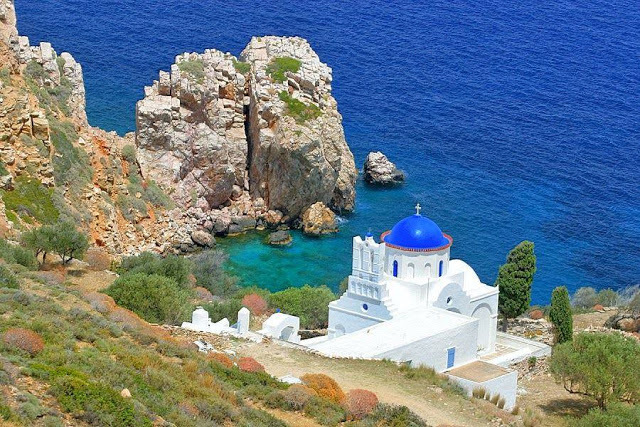 The third largest island of the Dodecanese, it is a very green island with an excellent infrastructure and large roads lined up with palm trees. Spectacular in the spring with snow on the mountains that stand tall behind the theater, it’s an interesting Lycian city in Asia Minor, in the Mediterranean region of Turkey, because of the presence of the Ottoman fortress of “Bloody Ali” (Kanli Ali in Turkish), a local brigand in addition to the Lycian and Roman remains. The 19th century archaeologist Charles Fellows who re-discovered Tlos in 1838, and several other nearby sites, had this to say about the approach to Tlos: “The whole ride down this upper valley is beautiful and varies continually; it’s scenery, on approaching the bold Greek like situation of the ancient city of Tlos, is strikingly picturesque”. Nice to approach on foot if you feel up to it. A dolmus (local transportation by minibus) running along the little road that serves Xanthos and Saklikent can drop you at the bottom of the access road and the 4 kilometers (2,5 miles) hike gives you a feeling for the situation of the city. It’s the sort of site you can take in quickly or linger on for an afternoon. Here you can see the tomb of Bellephoron. The carvings on the tomb represent Tlos’ main claim to archaeological significance. On the slope of the hill there are several Lycian sarcophagi and some other rock tombs. Another feature is Yedikapi, The seven doors or gates in Turkish. Following signs for the Hamam or Turkish baths you’ll come to a very dramatic set of seven arches overlooking the whole valley. Don’t miss the theater. Some charming carvings scattered about and the backdrop of the mountain range and the valley is hard to beat for spectacle. Other ruins in the city include a Roman stadium with a capacity of 2,500 people and a 150 meters-long agora (market) next to it. Bodrum has a Mediterranean climate. A winter average high of 15 °C (59 °F) and in the summer 34 °C (93 °F), with very sunny spells. Summers are hot and humid and winters are mild and mostly sunny. Springs; The scent of citrus blossoms fills the air, the hills and valleys are green with vegetation and the cool, sunny days are ideal for hiking and sightseeing. The bustle of the boatyards launching yachts is a fascinating attraction and even Children’s Day (April 23rd) festivities are creative, worthy of this cosmopolitan town. Autumns; Autumn begins with the Bodrum Cup Traditional Wooden Yacht Regatta held annually in the third a hundred stately wooden yachts under full canvas is a sight to behold and it’s a good time to sail. The sea is still enticingly warm for swimming and it’s a pleasure to visit historical and natural sites in the cool weather – or to buy up bargains at end-of-season sales! gulet charter & cruises from bodrum Bodrum is the ideal starting point for sailing the Aegean coast of Turkey. The Gökova Gulf is acknowledged to be one of the best cruising areas in Europe. With abundant sunshine, crystal clear waters, continuous blue skies, good anchorages and friendly people, this coast offers many diversities. There are many unspoiled areas rich in natural beauty and in costal settlements and villages. It is still possible to observe local people going about their lives in traditional Turkish village fashion. Blue Cruise was started in Gökova Gulf on Cevat Şakir Kabaağaçlı’s regular outings with fishermen. He sailed various caves and bays in the Gulf of Gökova and fell in love with the deep blue. He become well known around the region and many people were excited of sailing around, inspired by him. Imagine yourself on a comfortable yacht, lying on the deck in the depth of the sea, sailing along the magnificent coasts. Swimming in warm crystal clear waters, diving, surfing, skiing, fishing or resting on the sandy beaches of touristic towns and historical ports are just a few of the highly recommended attractions on Blue Cruise. Once you leave the harbour, the vast expanse of the Gulf of Gokova stretches before you, this area alone has enough stunning places to visit for at least a week of sailing. Sedir Adalari (Snake and Castle Island) is well known for Cleopatra’s Beach, which she is believed to have made for her lover Anthony with sands shipped from North Africa. The nearby bays of Kesr, Sogut and Degirmen Buku, located in the far east of the gulf are all spectacular anchorages. 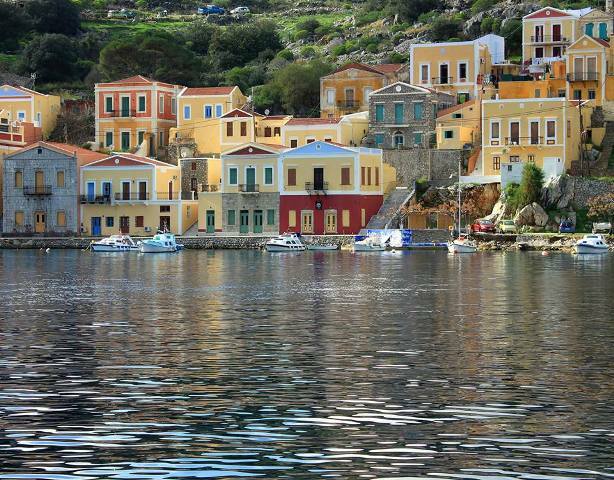 Sailing south, guarded by the Greek island of Symi, is the Gulf of Hisaronu, which means Gulf of Fortresses, a reference to the many ancient and medieval forts scattered around the hills of the Gulf. Dacta, being the largest village in the gulf and an ideal place to provision between Marmaris and Bodrum, is well worth a visit as it is still relatively untouched by tourists and very picturesque.